Does your family enjoy visiting zoos when you travel? The Denver Zoo is a great choice. We first visited the Denver Zoo when our kids were little. It’s a large zoo that features many of our favorite animals. It also has a train and carousel, which my young children loved. My kids are older now (ages 13 and 10), and we just had one full day on our last trip through Denver, so we had lots of options with little time. I don’t think any of us really outgrows the wonder of seeing the beauty, grace and diversity of the animal kingdom, but I was still a little surprised that they both wanted to go to the Denver Zoo. My family had a great time! Here are my tips for making the most of your day at the Denver Zoo. The Denver Zoo has many of the big, showy animals that most families go to see at a zoo. These include elephants, lions, giraffes, gorillas, hippos, bears, tigers, sea lions and more. Indoor habitats feature exotic birds, reptiles and fish. We had a couple of exceptional animal encounters at the Denver Zoo. The first was at Primate Panorama where gorillas, orangutans and other primates have indoor and outdoor habitats. We happened on Whimsie, the zoo’s adorable baby gorilla, playing with her parents just a few feet from the glass in the outdoor viewing area. We caught it on video, and you can see it below. Bear Mountain was the site of our other favorite encounter. A zookeeper was giving a presentation about the bears while this bear grinned and posed for the crowd on the other side of the moat. Bear Mountain was the first naturalistic zoo habitat in North America. It was built in 1918. Toyota Elephant Passage is the biggest and best habitat at the Denver Zoo. In this elaborate walk-through exhibit, elephants, rhinos and other animals roam ten acres that are built to resemble their natural habitat in Asia. Northern Shores was another favorite exhibit for my family. This is where you’ll find the polar bear, sea lions and otters. The polar bear was out and about in the morning and we made sure to catch the sea lion demonstration. This simple show is fun, but has no seating. You’ll want to arrive at least 15 minutes early if your kids want to stand in front. It’s a good idea to arrive early and pack a picnic at the Denver Zoo. You’ll beat the crowds and save money at mealtime. That said, the zoo is built for crowds and offers several dining options, so you should have a good day either way. The Denver Zoo is located in the Denver City Park. The park is also home to the Denver Museum of Nature and Science, which has an IMAX. Between the zoo and the museum, you can easily fill a full day. City Park also has two playgrounds, picnic areas, walking paths and acres of lawn. Parking is free. The Denver Zoo is a short drive from downtown Denver. We ate lunch at Denver Biscuit Company on Colfax Ave and then visited the Denver Art Museum. Where: 2300 Steele St, Denver, Colorado. The zoo is located in the Denver City Park, a short drive from downtown Denver. When: The zoo is open daily, 9 am – 6 pm. Weekends and school holidays in warm weather months are the busiest times. You’ll likely enjoy the best weather in late spring and early fall. Summers are warm, but a good time to visit. Winter may be cold and snowy, but a good time to see cold-loving animals at their most active, without the crowds. How Much: $17 for adults, $12 for kids (ages 3-11). Train and carousel are $3 per ride. You’ll save a few dollars per person if you visit in off-peak months, November-February. The Denver Zoo has several free days each year, listed on their Hours and Admission page. The Denver Zoo and the Denver Museum of Nature and Science are both included in the Mile High Culture Pass. How Long: We were there about 3 hours, but many families may enjoy a leisurely half-to-full day at the zoo. Need a place to stay? We picked the Springhill Suites Denver North/Westminster because the price and location were right. There are lots of other good options in and around Denver for families. Click the button to check rates and availability for top hotels in Denver. 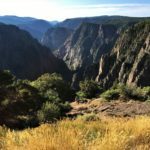 Need more ideas for your Colorado vacation? Check out our Colorado page.